2015 Season: Last year, it was gonna to be different, right? New GM A.J. Preller gave the Padres a quick makeover heading into the season and they were “ready” to contend for the first time since 2010. I was a believer too, but we all know that didn’t happen. 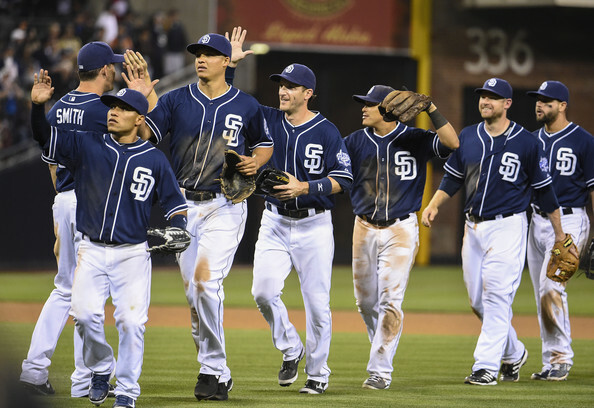 Instead, the Padres lost 3 more games, finishing 74-88. It was their worst record since 2011, and in the process, Preller mortgaged some of the future in prospects to win those 74 games. The Justin Upton, Craig Kimbrell, etc, acquisitions never paid dividends. Key Additions: They got John Jay in the Jedd Gyorko trade. I always thought Jay would be better than he’s been, but he’s very versatile and still a 3.1 WAR player after all these years. You know what’s funny about baseball and money? 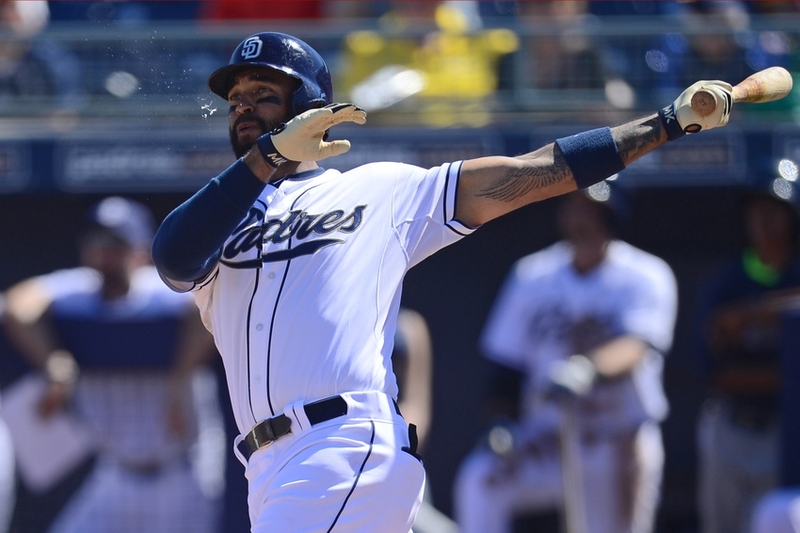 People talk about the ridiculous contracts, yet they Padres also signed two 2014 all stars (Alexi Ramirez and Fernando Rodney for $5 MM combined. Turns out you can get scrap heap guys with upside in any sport. Key Losses: Yonder Alsonso is gone in the trade that brought Drew Pomerantz, as are Kimbrel, Upton, Beniot and Gyorko. Beniot hurts, he’s about as close to an ace as you’ll get from a non-closer RP. You always knew Kimbrel and Upton were one year rentals about to hit FA, so they’ve gone on to better places after making minimal impact here. Spangenberg isn’t a terrible player, I like him, But he has zero power. Solarte has shown he belongs, but the former Yankee isn’t exciting anyone. Kemp is rather impressive to me. That 100 RBI season last year came with an awful May and June. I think he can be good this year, but it likely will not matter much, especially with his powers numbers continuing to be sapped by the spacious confines of Petco Park. Wil Myers was supposed to be the next big think in Tampa when he had that impressive 2013, but like so many other impressive youngsters, the game has humbled his bat considerably since. Major League pitching will eventually catch up every hitter and it seems that Myers has not been able to make the necessary adjustments to counteract the improved pitching. Having said that, he is still young, and has potential to be a 20-30 homer guy for a long time. Norris is a solid catcher; a tough guy with playoff experience who can hit well for a man behind the plate. He’s the type of piece that brings a championship team together if the team is talented enough around him…however this one is not that team. 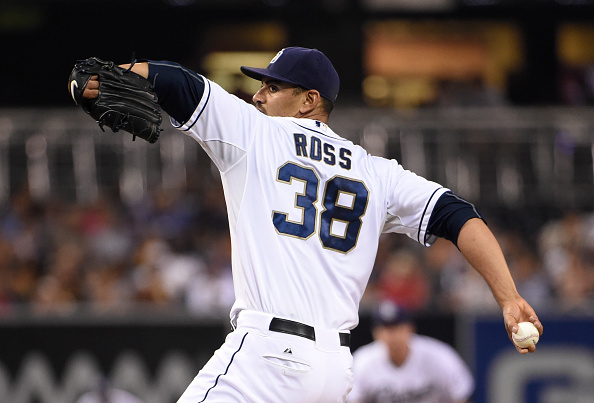 Tyson Ross (ERA +110 to 120 past two years) is tricky to hit, and on a better team he would be that solid number 2. Unfortunately for the Padres, he is relied on to be the ace of this staff. The rotation also features “Big Game” James Shields, who we all know and love, as well as Andrew Cashner to round out the top 3. 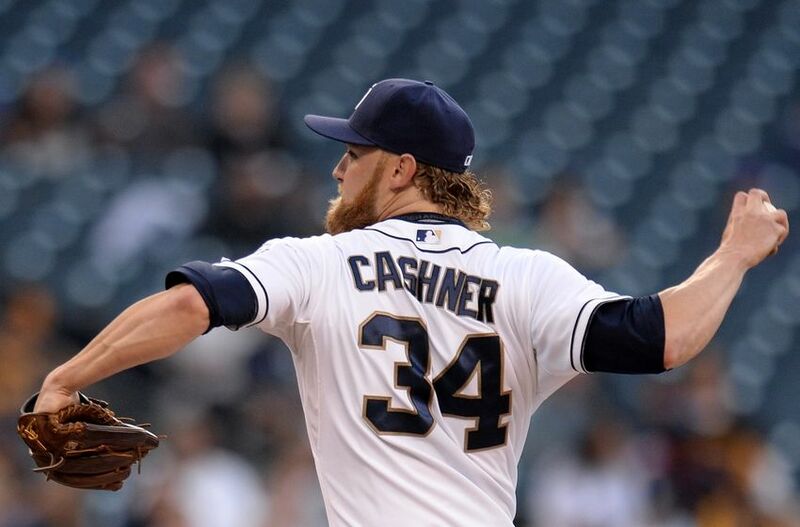 Cashner’s a guy I personally still think is good, even though he took a huge step back last year with command, walking 66 batters and throwing a disappointing 1.44 WHIP. Those guys I just mentioned are a bunch of number 2/3s. Crafty lefty Rob Erlin and the unknown Brandon Maurer fill out the back end. Matt Thornton and Drew Pomerantz (from Oakland) are the lefties in the pen, to go along with fan favorite Carlos Villanueva, the tenured long man. 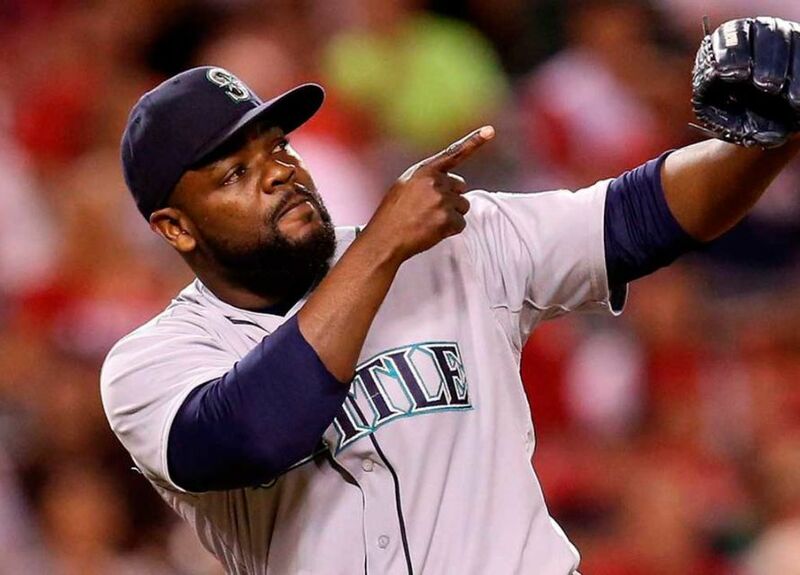 The J.R. Smith of closers, Fernando Rodney, takes his volatile, brash, oft-traveled and wildly entertaining game to San Diego, his 6th team since 2009. He will be the one coming on to shut the door in the 9th. I think the only way they win anywhere NEAR 90 games is if Sheilds, Ross and Cashner are all top 25-40 pitchers as per park adjusted ERA. Flashy sub 3.30 ERAs in Petco park don’t mean anything. These three will need to really shut people down in order to squeeze out wins. They also need to stay healthy, but they have all done it in the past and none of them are pitchers you would consider old (Shields the oldest is 34). HBT’s Prediction: Make fun of me as you will (and feel free to argue this in the comments section) but I just think something is special about this team, guys. What I really mean by that is they will win more games than people think, I’m thinking 82 wins. Problem is, I think it will come on the strength of many lucky performances from old/volatile/1 year rental players who will not repeat it in 2017 with this team for whatever reason (Cashner, Shields, Alexi Ramirez). At the end of the day, the prospects that Preller traded to make the push last year in 2015 hurt, and the future is not particularly bright.